HAMILTON, Ohio - A southwestern Ohio baby sitter accused of abusing a 3-year-old girl who died last week has been charged with murder. 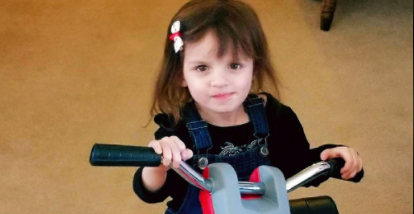 Lindsay Partin, 36, was also indicted by a grand jury on charges of involuntary manslaughter and felony child endangering in Hannah Wesche's death, the Butler County prosecutor said Monday. Partin was arrested this month on assault and child endangering charges after authorities responded to her home in Hanover Township for an unconscious child. They said they found Hannah unresponsive, with labored breathing and bruises. The child was hospitalized in Hamilton County, where the coroner's office says she died March 18. Butler County sheriff's officials have said Partin struck the child. According to her family, Hannah's injuries were so severe she was declared brain dead, WKRC reports. Click here to view related media. Partin was released on bail after the initial charges were filed. She has not been re-arrested and her bond has not increased, according to the station. A message was left Monday for Partin's attorney. No publicly listed phone number could be found for Partin.